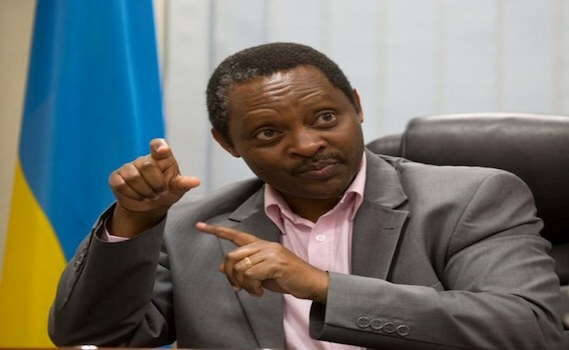 In a bid to improve service delivery, increase productivity and seek redress for poor service from private and public institutions, the government is set to introduce a policy as a remedy. The Rwanda Governance Board along with the Joint Action Development Forum are discussing a service delivery policy that will be sensitized to all citizens and its implementation regularly monitored. This was among the projected action plans disclosed on Thursday by RGB’s Chief Executive Officer, Prof. Anastase Shyaka, while presenting the 2016-2017 Activities report and 2017- 2018 Action Plan to both parliamentary chambers of Senators and Deputies. In 2010, the Institute of Policy Analysis and Research (IPAR), established that “there is little evidence that organisations are focused on delivering good service to customers,” despite the country’s goal to becoming a service economy. Researchers recommended a ‘Know Your Rights Campaign’ so that citizens understand their rights to good service delivery in all sectors and regulation for service providers, requiring that they have a Customer (Citizen) Charter with the rights to redress for failure of service delivery clearly specified. They also advised on the establishment of an organizational development agency to accredit institutions and carry out external quality audits, among other solutions. RGB also plans to review the media policy, the law on non-governmental and religious organizations, monitoring of political parties’ compliance with law, carry out assessments on the implementation of Social Protection Programmes and enhance increased partnership between public institutions, Religious organizations and NGO’s, among other reforms. Is RwandAir Uganda’s Biggest Threat Or Envy?